Credits: Templates by Crystal Wilkerson, Paper by LivEdesigns (SSunFun Deep Sea). 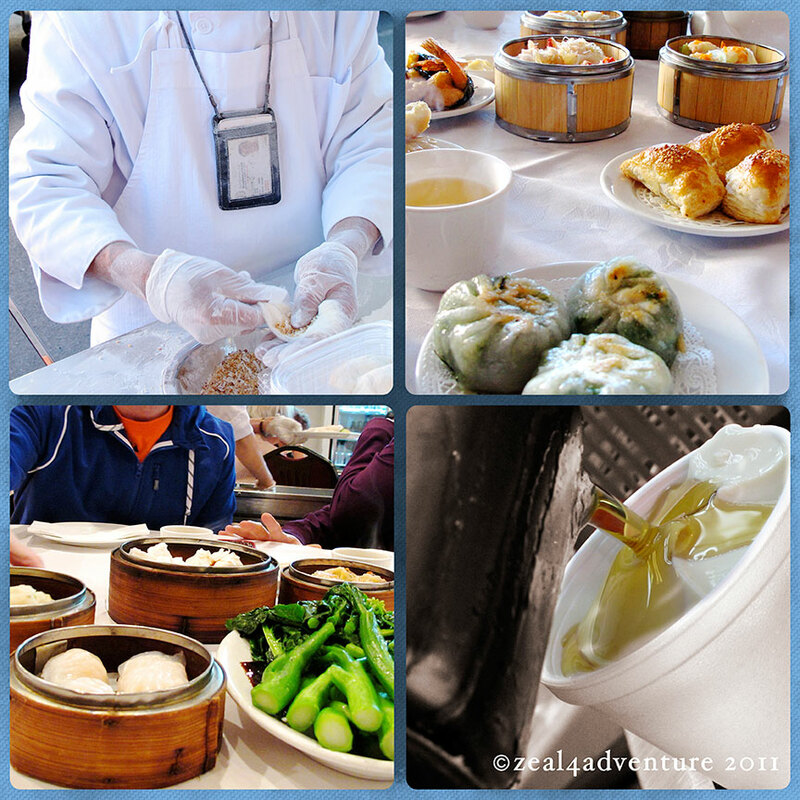 Manhattan’s Chinatown is home to one of the largest concentration of Chinese people in the US, and guess where we went for lunch after our morning walk / run at Central Park? 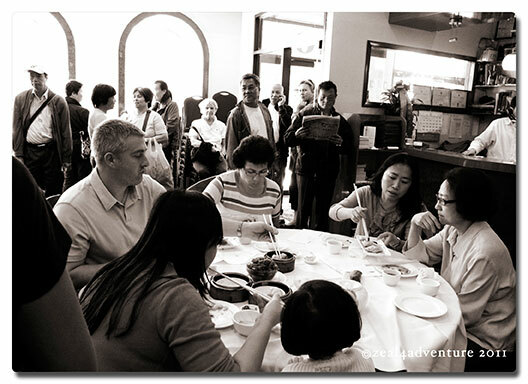 the popular dim sum place at 46 Bowery. So packed they were, we had to share a table with (friendly) strangers. 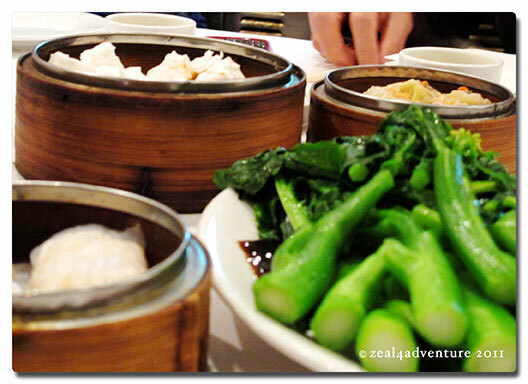 J, before we stopped him, almost feasted on their dumplings! 😀 And they were so kind not to say anything… needless to say, J or maybe we (more than he) were so embarrassed. Ambling around the area after a hearty lunch, we stumbled on more food on the street. 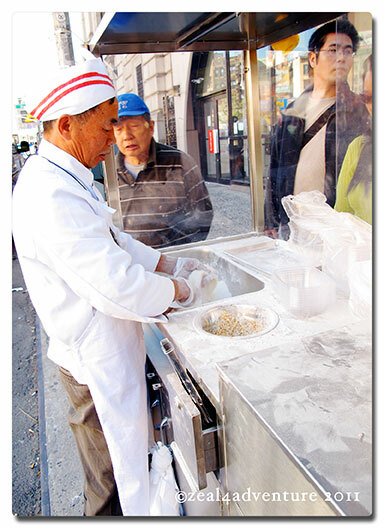 One interesting stall is Yao’s Dragon Beard Candy. which turned out to be a sweet peanut and coconut filling wrapped in cotton candy. Watching the making of the candy was more interesting than it actually tasted (in my opinion). Not far ahead on the same street was Fong Inn Too. 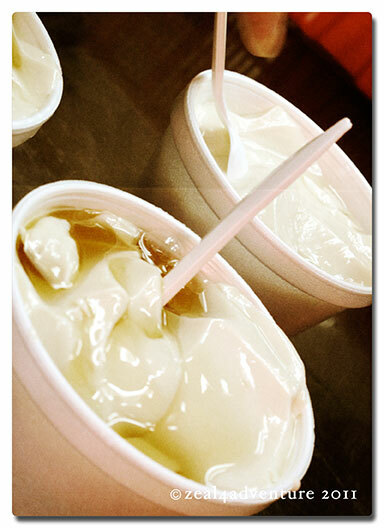 They serve yummy taho sans the sago (sweet soybean curd sans the tapioca). Living in the US for some time now, my friends hanker after this sweet soybean dessert so ubiquitous in the Philippines. that dragon thingy is pretty interesting, never seen anything like it here in sf chinatown or anywhere. how does it taste? Overly sweet! It’s crushed peanut sugar with desiccated coconut wrapped in cotton candy made from that caramel like goo. 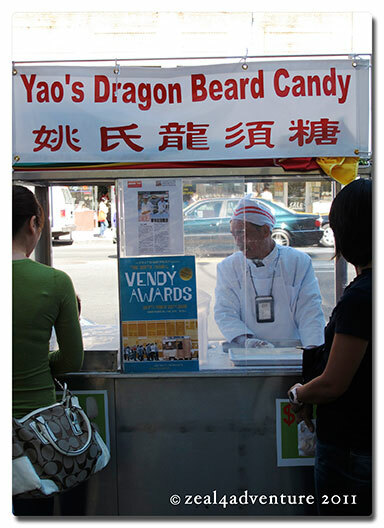 My favourite Chinese New Year food (though you sometimes find it all year round) is the Dragon Beard Candy, an ancient Chinese Emperor’s Dessert. 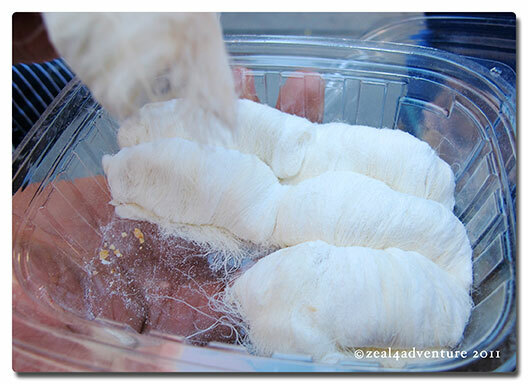 It’s made into very sweet thin strands and sometimes filled with peanuts. If you’ve never tried it, you simply have to! The only place I know to find this online is http://www.geocities.jp/family_hong_kong/English/Dragon_Bread_Candy_index.htm .